okay. And if you're not down with it, that's also okay. Life goes on,"
relate with them a lot so they also see me as a friend." 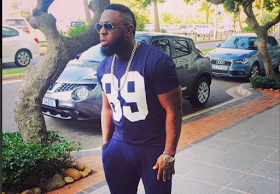 0 Response to "I Get Inspiration By Staring At A Woman's Backside – Timaya Opens Up"